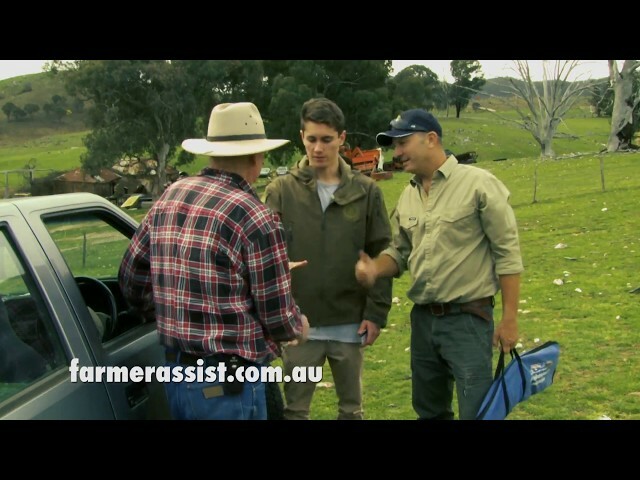 The introduction of the SSAA Farmer Assist program in Queensland has been a recognised success. It provides farmers with access to sporting shooters for the control of pests on their properties. It also opens up good opportunities to SSAA members who might otherwise have difficulty in finding properties to shoot on. For farmers, many of whom do not have firearm licences and firearms, the SSAA’s sporting shooters are a valuable free resource for pest control. Most city folks do not appreciate the sheer economic impact that pest species have on farmers. The loss of a single heifer to wild dogs, for example, can represent a cumulative financial deficit of some thousands of dollars. When pigs and roos descend onto a sprouting grain crop covering some thousands of hectares, the margin runs into the hundreds of thousands of dollars. As a well-paid city career person, can you imagine losing your entire yearly salary over the space of a few days? And, it’s personal too. The popular press, which these days is very city-centric, tends to portray farmers and graziers in an uncomplimentary light and often implies they are indifferent to both domestic and wildlife welfare. Over the past 50 years I have known and met a great many folks on the land. In all those years I have never met a single one who was indifferent to animal welfare, or cruel in their behaviour. Quite the opposite. 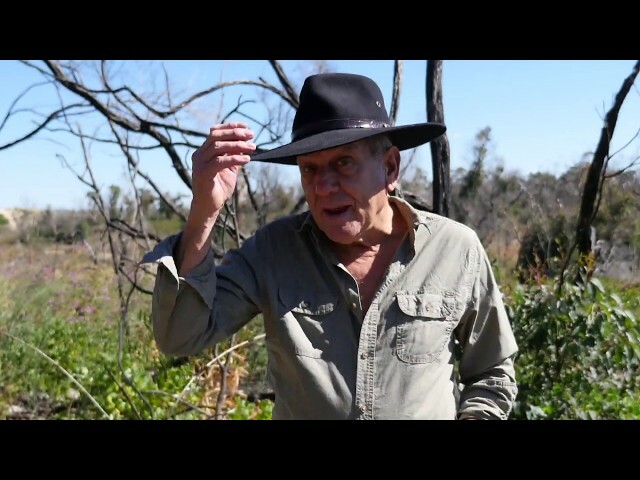 I have seen many landowners and farmers who were quite distraught at the suffering of their own animals and the wildlife that shared the landscape. My hunting buddy Mike and I are not short of places to hunt. In fact, sometimes we are spread a bit thin in trying to answer calls for assistance from the many agricultural properties we have access to. Nevertheless, when the SSAA Farmer Assist program began in Queensland, we both signed up and did our qualifying test at the SSAA Ravenshoe rifle range. We checked out the jobs on offer now and then, waiting for something close to home to come up. It took a few months and then we began to see a few local projects up for grabs. Finally there was one that sounded interesting and was reasonably within reach, being about 45 minutes drive away. It was a dairy farm bordering against a vast track of state forest tropical jungle. The jungle held a never-ending supply of wild dogs and feral pigs that maraudered across the surrounding farms. We put in a request for the job and received an offer to come and meet the owner of that property and his neighbours. Mike and I rolled up at 10am, after the morning milking was all done and chatted with the folks over a cup of tea. We explained what we did and ran through our resume, so to speak. Our interviewers said they had a few teams of prospective shooters and that they would consider all those and then let us know. After a few days we received an invitation to come out as soon as possible. The dairy farmers had two concerns. The wild pigs had grown in both numbers and daring, to the point where pigs were entering the dairy complex during milking every night. Workers were constantly encountering full-grown wild boars face to face in the yards and even in the sheds. The second concern was attacks on cattle and calves by wild dogs. Every week animals were being maimed and killed by these dogs, representing a significant loss of capital and income. Like all good dairy farmers, they were quite fond of their carefully nurtured herd and were deeply upset at the pain and suffering inflicted on their animals. Mike and I paid our first visit at 10pm, after the evening milking was done. The farmers had told us where to expect the pigs to arrive from and that they would be bold as brass. Mike had taped a torch to the barrel of his .30-30-calibre lever-action rifle and I had a small LED torch attached to the scope of my .223 Remington rifle. We parked, loaded our rifles and walked into the dairy. Half a dozen pigs looked up at us from their foraging. Crikey! After a quick, whispered chat and a consideration of the safety aspects, we went to work. Two big boars, only 8m from us, flopped to our shots. We had not been on site more than five minutes. The farmer had told us there were several groups of pigs, so we waited awhile and, after about 20 minutes, another mob came barging in to the dairy. I dropped a mid-sized boar and Mike rolled an enormous sow. After half an hour, we repeated that performance yet again. We were home by midnight with six hogs to our credit; a great start. We went back a few times each week and pretty much repeated that result on every visit. Other shooters were there during some of the nights we stayed at home. By the end of the second week, several dozen pigs, mostly boars and big sows, had been shot. The clientele was getting smaller in size, but were still not lacking in boldness. Mike and I changed our approach. We kept our centrefire rifles ready at hand, but now used the Brno to shoot the smaller pigs. These were typically about 20kg in body weight and were easily despatched. Our hunting had become almost decadent. We now sat in directors’ chairs with a flask of tea at hand. A couple of hay bales were seconded for foot rests and to hold our cups of tea. We were sitting in the large floodlit shed that housed the extensive food preparation and delivery system along with a considerable number of penned calves. There was a reasonable amount of background noise in the shed due to the restless calves and machinery. The pigs entered the shed at right angles to us. They were 5m away. We had worked out our zone of fire. Our choice of ammo was subsonic solids. The pigs entered in single file. Bop. We would shoot one right behind the ear. At that distance we could dead-centre a five cent piece, so our shot placement was perfect. The pig would drop to the floor and the next in line would walk up and pause to look at its fallen buddy. Bop. It was easy. With the pigs considerably reduced, Mike and I decided to turn our attention to the wild dogs, which were still an undiminished problem. One wild dog had been shot by another team when it had wandered into the dairy yard one night, but that was the only one. After doing some homework of our own and sounding out the farmers, it was apparent that the wild dogs were channelling out of the nearby jungle and using a cleared valley to access the dairy. In a series of morning stake-outs we used decoys and predator calls to entice the dogs. It was beautiful country to hunt in. Set high in the ranges with sweeping views across the thick tropical jungles of Far North Queensland, it could take your breath away on a clear day. Luckily, there were not many clear days to distract us. The area is famous for its misty drizzle. Despite the best efforts of the hungry dairy cattle, the paddocks were knee deep in thick, lush grass. In the coming months we shot eight wild dogs. They were mostly younger dogs, which are typically much less wary and easier to shoot. Nevertheless, the farmers reported a big reduction in dog attacks on their cattle. It is often the younger dogs that are responsible for such mauling attacks on domestic animals. The farmers are particularly happy with the results achieved by SSAA shooters they had brought in under the Farmer Assist program. What’s more, they are now effective ambassadors for that program, singing its praises to other farmers in the area. That property served up pest shooting about as good as you could ever expect to sample anywhere. Not all properties deliver like that. Occasionally there are disappointments in this regard. We took another culling job on a large beef cattle property. It was an integrated agricultural business and they were planting thousands of hectares with maize to use as fodder for the cattle. The area was just coming out of a prolonged drought and the smaller initial plantings had been ravaged by hordes of pigs and roos. The manager had applied for and obtained a pest mitigation permit, which allowed the shooting of roos. The manager had gone ahead and organised multiple teams of Farmer Assist shooters to come to the site for the culling. The problem was that the bulk of the planting had been delayed for a number of reasons and the vast open paddocks were still being worked in preparation for seeding when we arrived. Everyone was being careful and demonstrating good firearm safety and there were no incidents. Even so, you could see that there was potential for that, particularly if there had been plenty of pests to be shot. That was the other problem; there were very few pests to shoot in the absence of an emerging crop of maize. Some of the shooters were peeved after a lot of planning and long-distance driving to arrive on site only to find that the pests had not yet appeared. You need to know clearly if other shooters are going to be on site and exactly where they will be shooting. Take an active participation in the organisation of the shoot. Don’t rely totally on the landowner to sort everything out for you. Grab a map of the property and have the farmer take you on a drive around before you do any shooting. You need to know the lay of the land and where your zones of safe fire are. Wear hi-viz industrial shirts, or blaze orange camo. Practise strict firearm safety protocols. Ensure that animal welfare and humane treatment is paramount. Despatch any wounded animals with all safe haste and put down any young animals incapable of surviving alone. These are commonsense aspects of hunting and I am sure SSAA shooters follow those practices anyway. Nevertheless, on a Farmer Assist shoot on a new property, these things need to be a top priority and every effort made to demonstrate compliance. The SSAA Farmer Assist program can open up excellent pest shooting opportunities for shooters. Quite often these properties are otherwise barred to shooting. It provides a valuable resource for farmers who have urgent pest problems. Better yet, it builds relationships between SSAA shooters and the agricultural sector, which is good for our sport.